Palm oil production is a big business in Malaysia and Indonesia, but environmental pollution is one of the industry’s biggest problems. A Silicon Valley company hopes to turn that problem into a profit by converting wastes from palm oil production into fuel. NextFuels is a biodiesel trading company that is looking at commercializing a technology developed by a Netherlands company called Biofuels. The technology processes biomass without having to dry it and wasting energy as a result, Ralph Overend, chief scientist at NextFuels and a former biomass energy research fellow at the National Renewable Energy Laboratory, tells me. The company is looking to raise a Series A round of $10 million to re-start a pilot line at BioFuels, whose two co-founders ran and then abandoned the project in the mid-2000s after they ran out of money, said Frank Hughes, vice president of business development at NextFuels. Overend says that money would be enough to rebuild and run the plant for a year and to engineer a demonstration plant. NextFuels aims to capitalize on the air, water and oil pollution problems that have come to be part of the image of the palm oil production in southeast Asia. Lots of fires have broken out on palm oil plantations this year in Indonesia that have cast a haze over not only that country but also Malaysia and Singapore. The plantations burn forest land or crop wastes to make room for new planting. Palm oil is widely used as an edible oil or an ingredient in food, cosmetics and drugs. Indonesia and Malaysia are the world’s two largest palm oil producing countries. Raising money to prove a biofuel technology’s business case will be tough, however. Many U.S. investors who have put money into biofuel technologies haven’t made the returns they’ve expected, despite hefty federal government support — in terms of loans and grants from research to production — that have helped some biofuel startups to raise private funds. Technical and other manufacturing problems have also caused some companies to miss their production targets. Kior, a venture-backed startup that went public in 2011, recently announced that it had missed its second-quarter shipment goal. The idea of turning palm oil production wastes into fuel has no shortage of believers. Plantation owners and academic researchers in Indonesia and Malaysia have been teaming up with companies and scientists in Japan, Korea and other countries to develop and potentially commercialize waste-to-fuel technologies. NextFuels will have to secure supply contracts with palm oil plantations, most of which are controlled by big conglomerates. 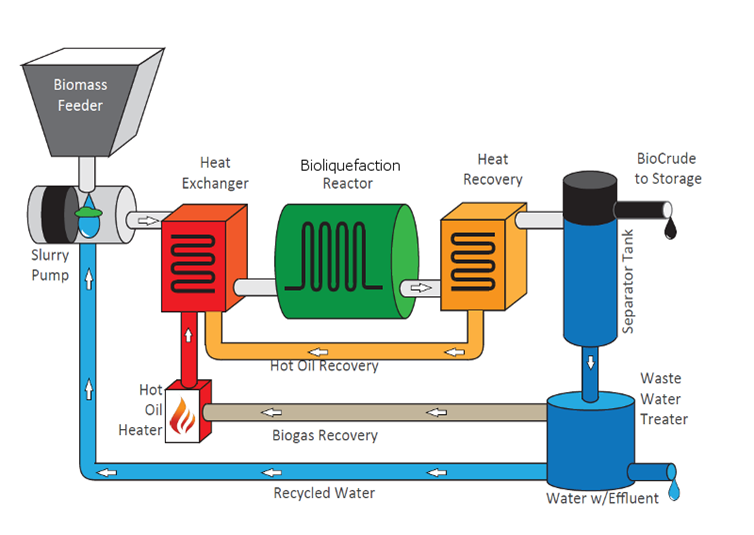 The technology licensed by NextFuels is among some of the common types of processes for converting biomass into fuel. The technology, called liquefaction, uses high pressure and a temperature that is lower (330 degrees Celsius) than the temperatures employed in competing processes such as pyrolysis (500-600 degrees Celsius) and gasification (800 degrees Celsius). Overend says the liquefaction technique avoids the need to dry the biomass and therefore minimizes energy losses and reduces production costs. The company wants to make crude oil that can be sold as fuel for running power plants or processed further to sell to oil refineries. The plan is to market its fuel in Southeast Asia, where many countries rely on imported oil and liquefied natural gas to run their power plants and transportation systems. If NextFuels can successfully demonstrate its technology, then it could apply it to other types of biomass. Please… the large Palm Oil plantations are owned by Malaysian and Indonesian corporations, which purposely SET the native rain forests – one of the most ancient and important ecosystems on the planet – on fire to clear them for expanding their mono-culture plantations. Yearly, they burn massive areas of rain forests and depend on the monsoon rains to extinguish them. They only get caught out & embarrassed by the so-called ‘haze’ (hello, can you say Smoke?) in drought years when the rains come too little/too late and the evidence of their deeds spreads across the entire SE Asia Region. So you only read that sentence about the fires and nothing else? I mentioned the burning of forests to clear land for planting. Hello. Iâ€™m Frank Hughes at NextFuels.Thanks for the notes. Iâ€™d like to clarify one point just to make sure itâ€™s clear: Our process doesnâ€™t use palm oil. Weâ€™re making fuel out of the waste product (empty fruit bunches) generated by the palm oil that is primarily grown for human consumption. Whether or not palm oil is a â€œgoodâ€ or appropriate crop for the region is another debate. Palm actually is the largest edible oil crop in the world, and it is particularly popular in emerging nations. It passed soy a number of years ago, partly because palm growers can get 15X as much oil per acre than they could in the past. And most (not all, but most) of the oil is shipped to the food market; itâ€™s not used for transportation. NextFuels is keenly aware of RSPO mandates, and we in no way are promoting deforestation. To the contrary, we are trying to help solve the existing environmental issue of air pollution. And for animals. The orangutan situation there is unfathomably brutal and sad. Anything that encourages palm oil production is catastrophic for the environment. This is horrible for the planet and people. This would be so amazing! Job creating, waste reduction, profit for Asia….